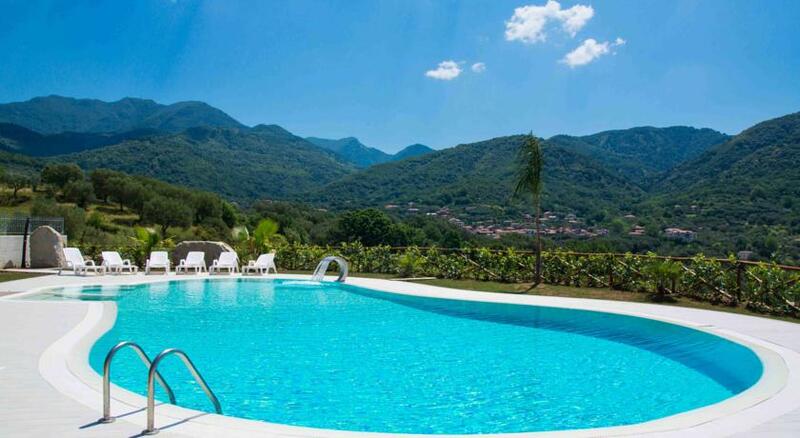 This great pet friendly farm stay in Ceraso, Campania, Italy has an outdoor swimming pool and horse stables in a lovely hillside position with views over the surrounding countryside. All their comfortable rooms have a private bathroom, air conditioning and a flat-screen TV. And all have either a terrace or balcony to enjoy the great views from. They have a nice shared lounge too and WiFi as standard throughout the building. The surrounding countryside is beautiful and well worth exploring. The friendly owners can advise you about where is good to go and they can also arrange bicycle hire and horse rides from the farm.